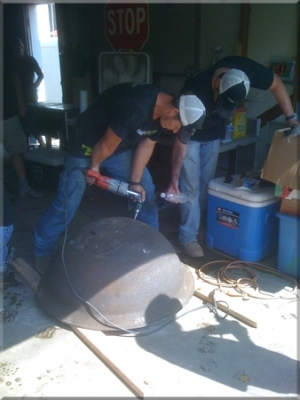 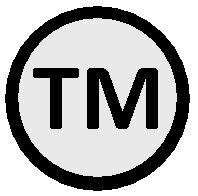 Below, is an example of how many of our custom projects begin. 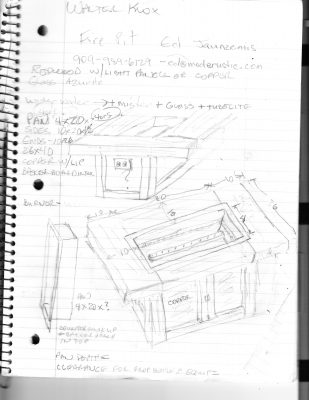 This rough sketch for a custom fire and water, table was designed by Walter Knox who lives full time on a house boat in San Francisco. 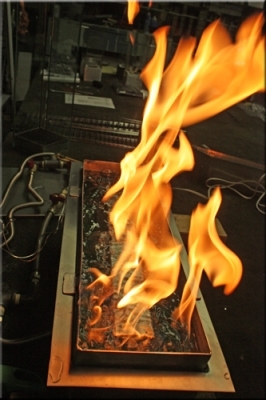 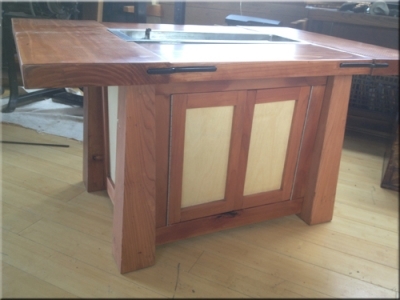 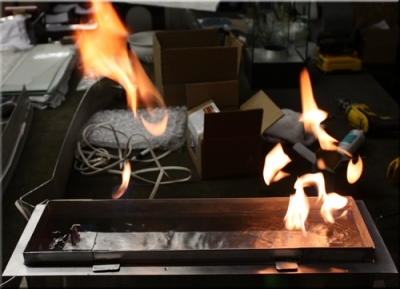 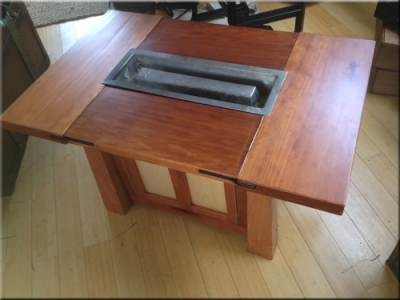 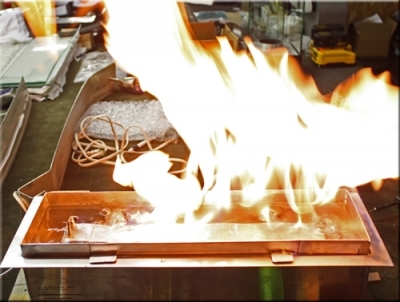 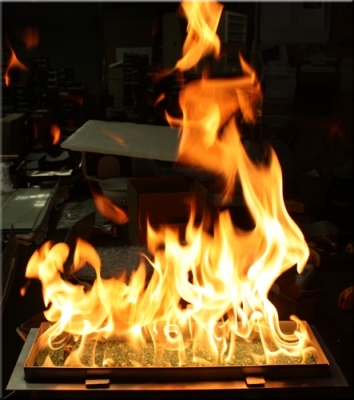 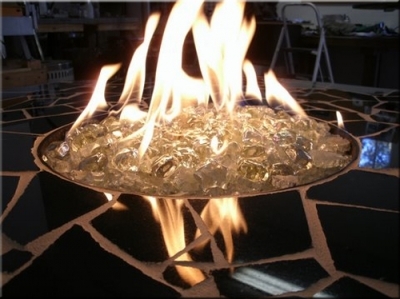 Walter wanted a fire tray that would serve two particular purposes. 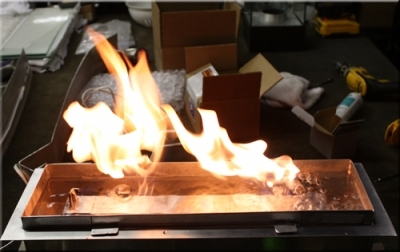 First as a flash fire, which is otherwise known as propane gas bubbler; in where the fire ignites in intervals of every few seconds. 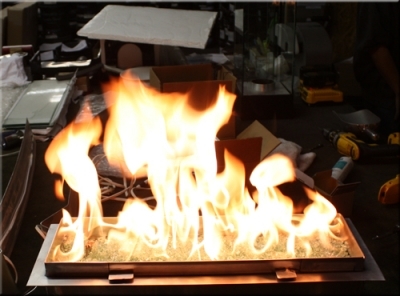 Here's another angle of the same effect. 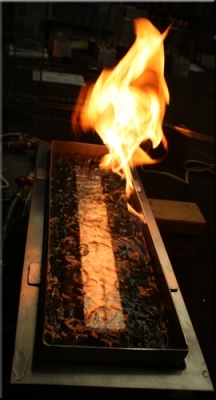 You can see the bubbles clearly on the left side. 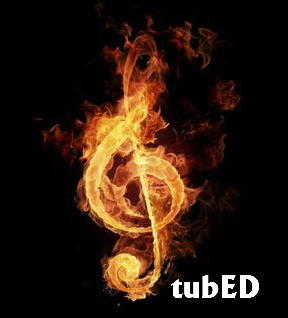 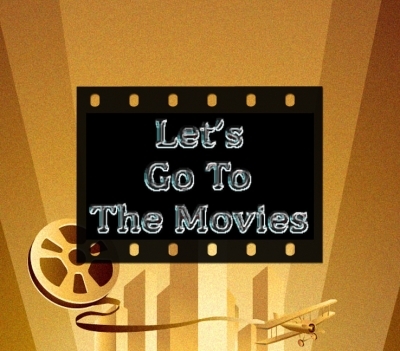 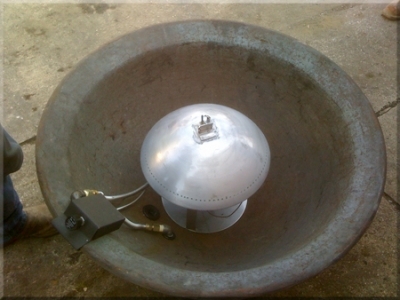 The pilot is ready right to catch the gas bubbles and then ignite them into what you see below. 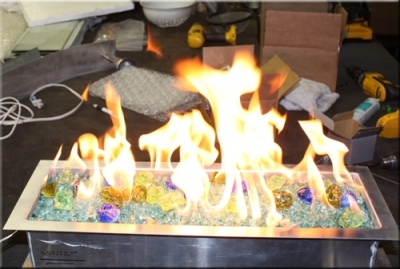 The second, more traditional purpose for the tray, was to hold some Azurlite Base Glass FireGlass. 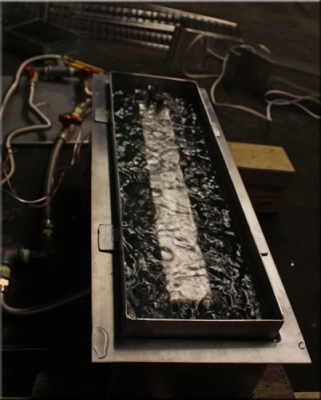 We built a drain beneath the tray so that he could easily drain out the water. 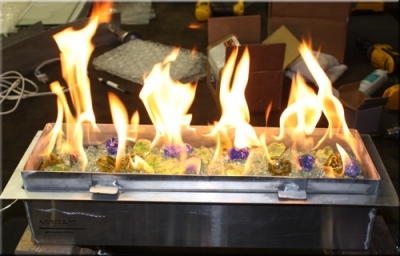 In these photos you'll see a small wind-shield around the edges of the tray. 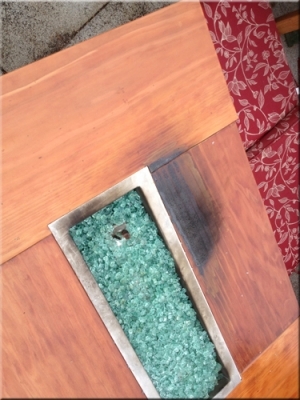 Now ultimately this wind-shield wasn't used, but later down the page you'll see what occurred without it. 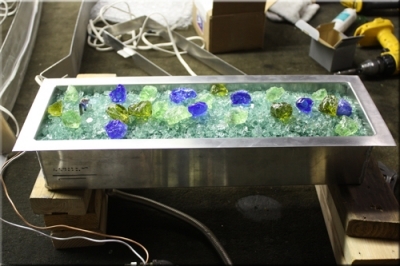 We added some Toppers, half pound Cobalt Blue Topper, Olive Green Topper and Emerald Green Light Topper. 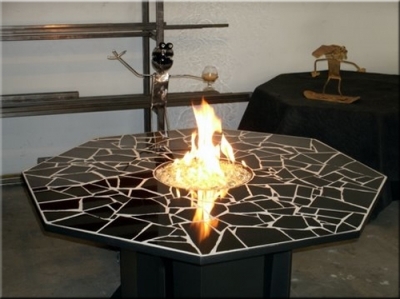 After we completed the burner we mailed the it to Walter; and then helped remotely install it into his table properly. 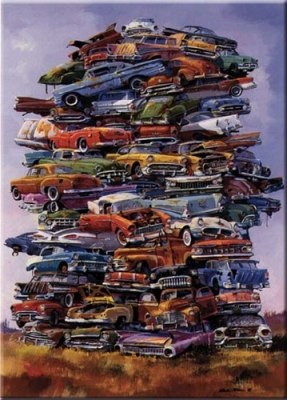 And here you will see why NOT having the Wind-Shield became a problem. 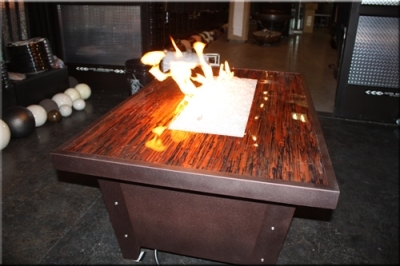 When the winds picked up the flames blew down across the table and scarred the table top. 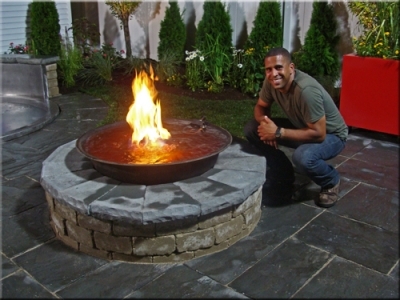 So as a result Walter built a brick enclosure around his fire pit. 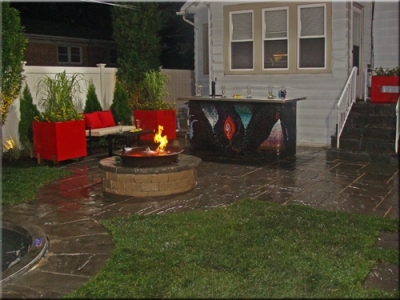 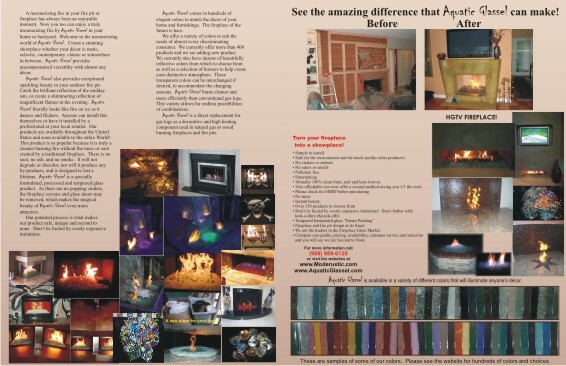 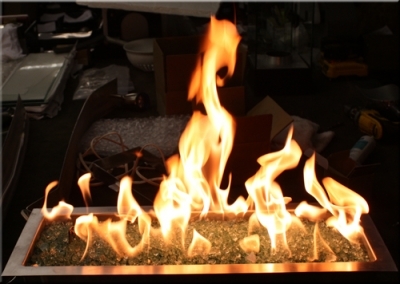 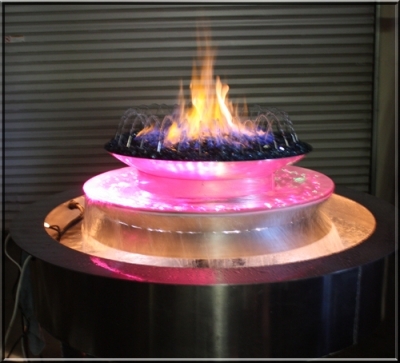 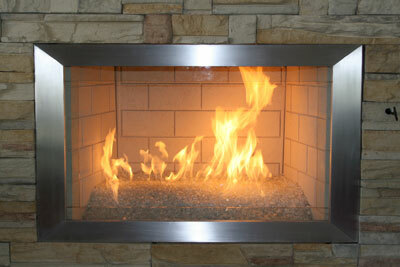 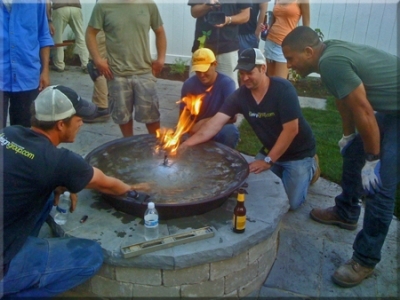 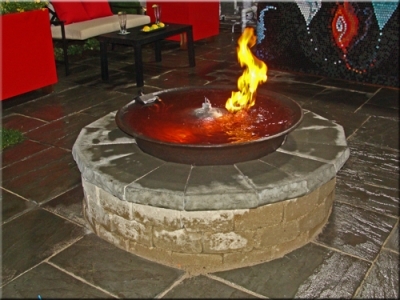 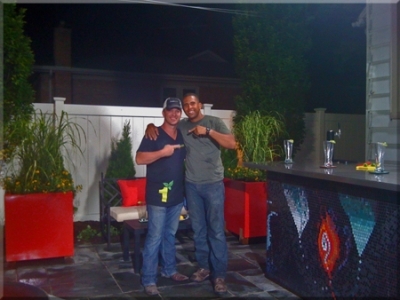 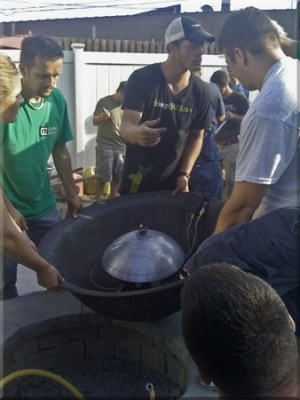 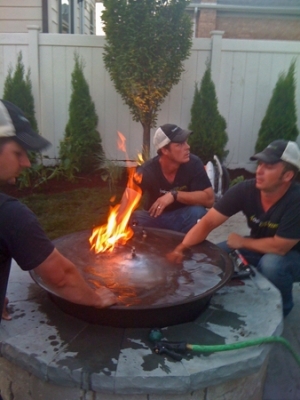 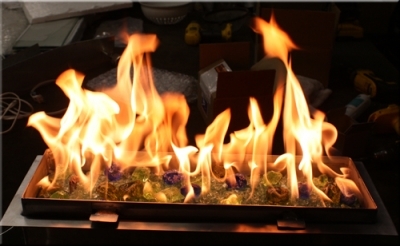 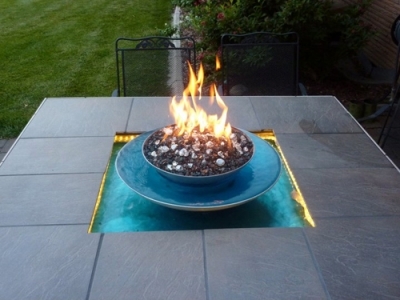 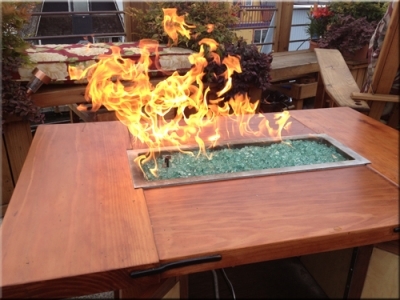 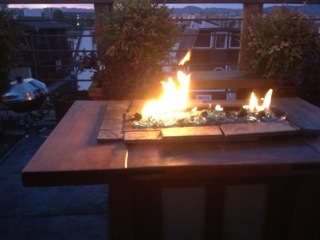 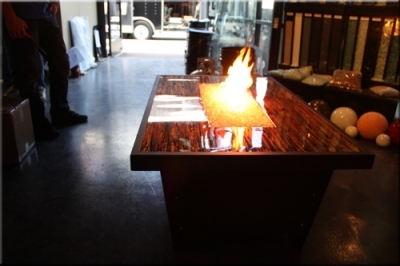 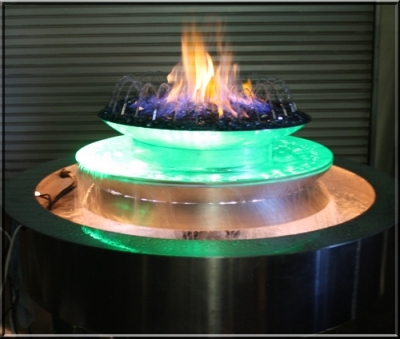 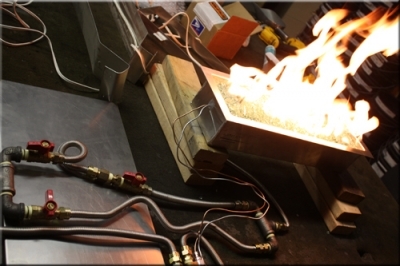 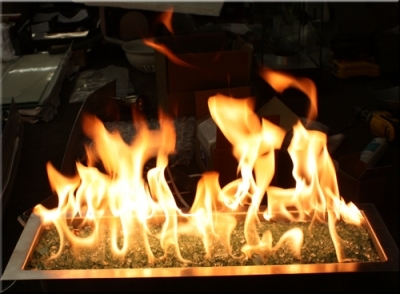 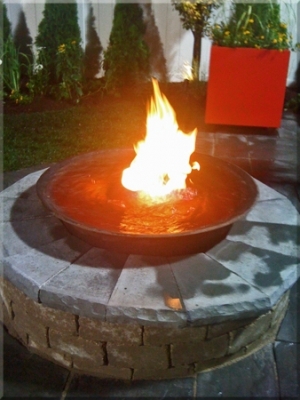 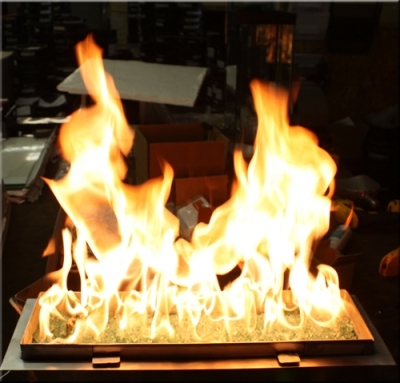 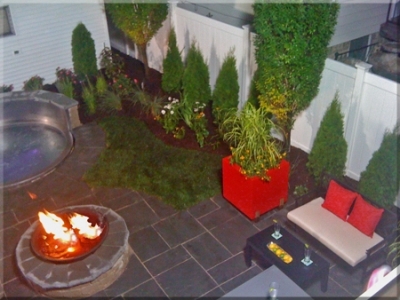 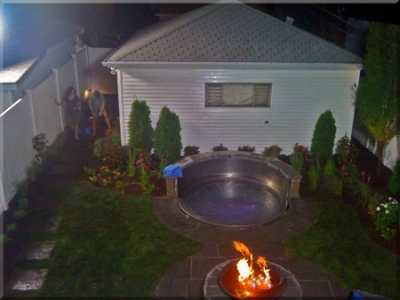 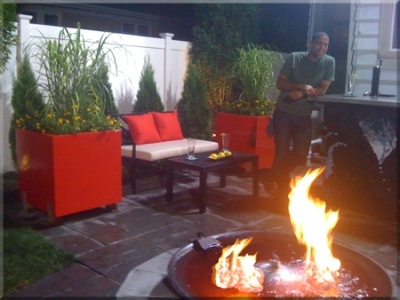 We built this custom Flash fire feature in conjunction with Ahmed Hassan of Yard Crashers. 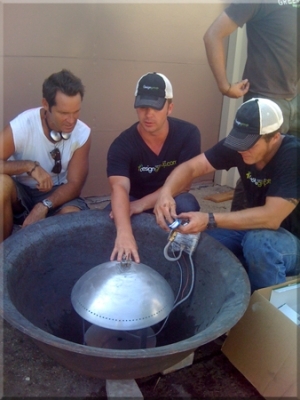 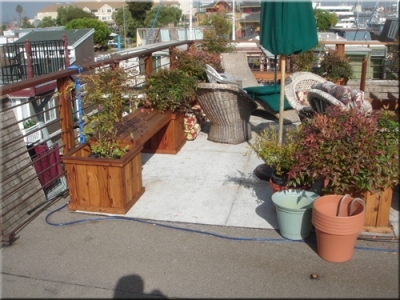 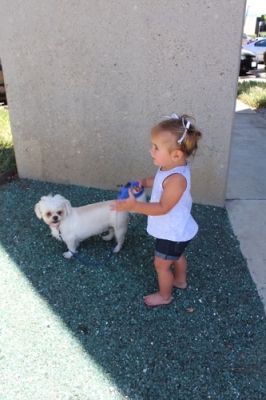 It was installed by Michael Anthony of Chicago working. 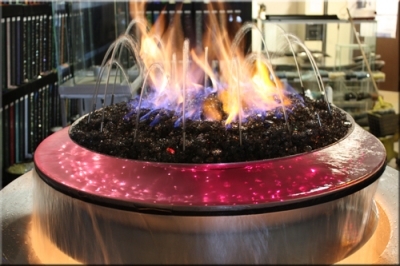 The feature showcased a water pump to spin the water, (we used an 8 copper finger design to spin the water), underwater lighting and food coloring for the water for further mood effect. 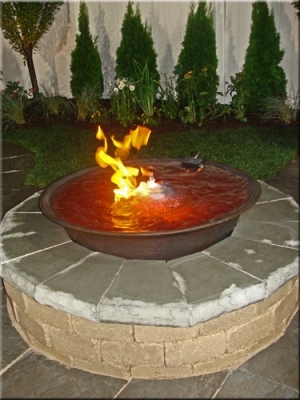 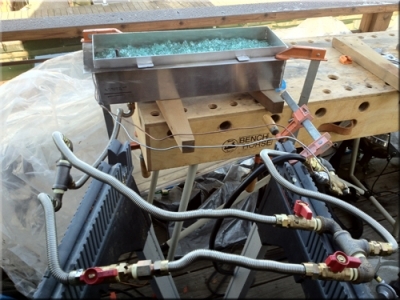 These features can be build in either Natural gas or Propane. 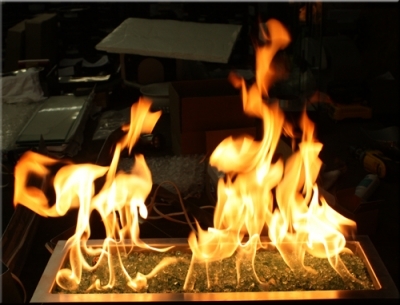 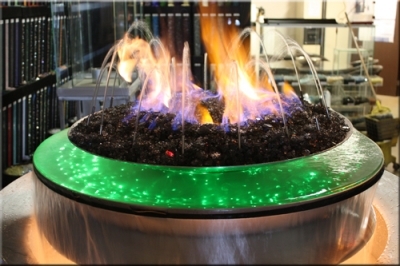 Water, lights, fire, spinning water, colored water, auto fill, fiber optics, etc...You dream it, we can build it.